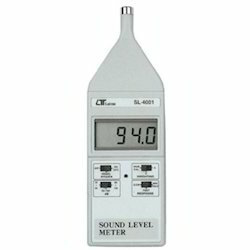 Our range of products include lutron sl-4013 sound level meter, ms-6700 digital sound level meter, lutron sl- 4010 digital db meter, lutron sl- 4001 digital noise meter, sound calibration sc-941 and sound calibration sc-942. Separate sound probe, easy operation. Large LCD display, easy to read.Frequency weighting meet .IEC 61672 type 2. Auto range & manual range. A & C frequency weighting. Fast & Slow time weighting. AC output for system expansion. RS232 computer interface. Features: Large LCD display, easy to read. Charateristic of " A " frequency weighting network are designed to meet IEC 61672 class 2. " Fast " time weighting characteristic mode. Build in adj. VR is available for easy calibration. Condenser microphone for high accuracy & long term stabilty . Hold function to freeze the display value. Warning indicator for over and under range. LCD display for low power consumption & clear read-out even in bright ambient light condition. Used the durable, long-asting components,including a strong, light weight ABS-plastic housing case. Small and light weight design allow one hand operation. Low battery indicator. High quality with economical cost. Large LCD display, easy to read Frequency weighting networks are designed to meet the IEC 61672 CLASS 2. A & C weighting networks are conformity to standards. Time weighting(Fast & slow) dynamic characteristic modes. AC/DC output for system expansion.Build in adj. VR is available for easy calibration.Condenser microphone for high accuracy & long-term stability.Max. 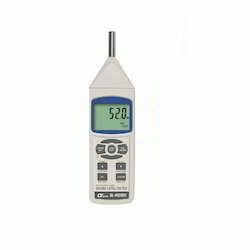 Hold function for stored the maximum value on display.Warning indicator for over and under load.LCD display for low power consumption & clear read-out even in bright ambient light condition.Used the durable, long-lasting components, including a strong,light weight ABS-plastic housing case. Small and light weight design allow one hand operation.Low battery indicator. 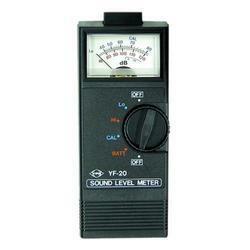 Use to calibrate the " Sound Level meter " precisely. 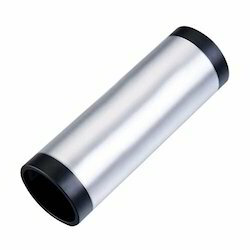 Suitable for 0.5 & 1 inch microphone. Total harmonic distortion : 2 %. 2 PCs.Durable bench type housing case. 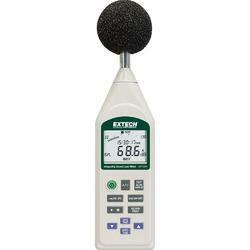 Useful tool to calibrate the Sound Level meter precisely. Frequency : 1000 Hz ± 5 %. Sound Pressure Level : 94 dB and 114 dB. 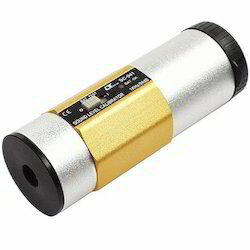 Suitable Microphone Type : 0.5 inch or 1 inch microphone. Features: Main functions are designed to meet IEC 61672 class 2. A & C weighting networks comply with standards. 0.5" standard microphone head. Time weighting (Fast & Slow) dynamic characteristic modes. Build External calibration VR. Auto range & Manual range selection. Available for external calibration adjustment. Condenser microphone for high accuracy & long-term stability.Memory function to store the Max. & Min. value. Hold and Peak Hold functions. Real time SD memory card Datalogger, it Built-in Clock and Calendar, real time data recorder, sampling time set from 1 second to 3600 seconds. Innovation and easy operation, computer is not need to setup extra software, after execute data logger, just take away the SD card from the meter and plug in the SD card into the computer, it can download the all the measured value with the time information(year/month/date/hour/minute/second ) to the Excel directly, then user can make the further data or graphic analysis by themselves. SD card capacity: 1 GB to 16 GB. LCD with green light back light, easy reading. Can default auto power off or manual power off.Data hold, record max. and min. reading. Microcomputer circuit, high accuracy. Power by UM3/AA ( 1.5 V ) x 6 batteries or DC 9V adapter. 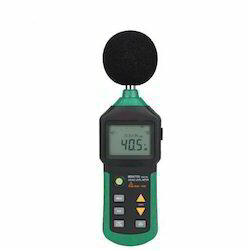 We have in store for our customers a quality range of Sound Level Meter, that is used for measuring the levels of surrounding noise in decibels. 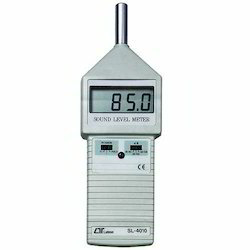 These are largely demanded for accurate readings, response frequency, measurement ranges, analogue bar display and frequency weighting. 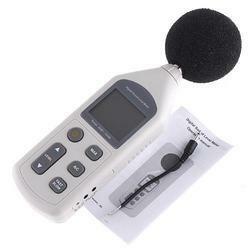 Further, our range of Sound Level Meter are offered in various models to meet client's requirements. 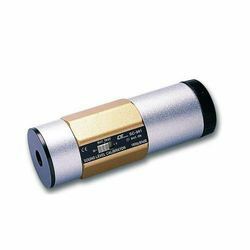 Frequency: 1000Hz Design for: 1", 1/2"
Standard: GB/T15173, ANSI S1, 40, CLASS2, LEC942. Weight: 275g (not including battery). A & C weighting networks are conformity to standards. Time weighting(Fast & slow) dynamic characteristic modes. AC/DC output for system expansion. Build in adj.VR is available for easy calibration. Max. Hold function for stored the maximum value on display. Warning indicator for over and under load. LCD display for low power consumption & clear read-out even in bright ambient light condition. Small and light weight design allow one hand operation. Large LCD display, easy to read. Frequency weighting meet IEC 61672 class 2. Auto range & manual range. 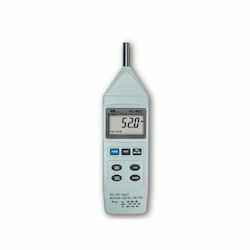 A & C frequency weighting.Fast & Slow time weighting. AC output for system expansion. RS232 computer interface. External calibration VR. Hold & Memory record.High accuracy condenser microphone Peak Hold. Over and under load indicator. LCD display.Durable, strong light weight ABS-plastic housing case. Auto power off: 20 min after non-operation,Low battery indicator,Monitor the sound levels from traffic noise, alarm systems and workplace machinery. Analog display with quick and accurate measurement. Compressed scales minimize range switching. Functions:-Unique selecting switch for easy operation by one-hand. Special integrated circuit for long stability. A & C weighting networks comply with standards. Time weighting (Fast & Slow) dynamic characteristic modes. Build External calibration VR. Auto range & Manual range selection. Available for external calibration adjustment. Condenser microphone for high accuracy & long-term stability. Memory function to store the Max. & Min. value. Hold and Peak Hold functions. Real time SD memory card Data logger, it Built-in Clock and Calendar, real time data recorder, sampling time set from 1 second to 3600 seconds. Innovation and easy operation, computer is not need to setup extra software, after execute data logger, just take away the SD card from the meter and plug in the SD card into the computer, it can download the all the measured value with the time information (year/month/date/hour/minute/second ) to the Excel directly, then user can make the further data or graphic analysis by themselves. SD card capacity: 1 GB to 16 GB. 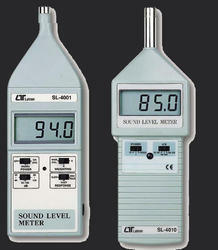 Looking for Sound Level Meter ?